"Alex Chilton, frontman for the Box Tops and Big Star, is currently missing. A post on Craigslist's missing persons forum, purporting to be from a member of Chilton's family, said that he was last heard from at 2 p.m. on Monday, August 29, on the phone from his home near the French Quarter. No one knows how much of the city's formidable musical history has been lost, or how long it will be before performing and recording in the region can resume". I am Patrick Mathe, friend and french record label of Alex. means that Alex is alive and safe , the only question is where. I can't wait until this great news can be verified and confirmed." Big Star page that I maintain at Geocities. some good news on Alex's situation soon. 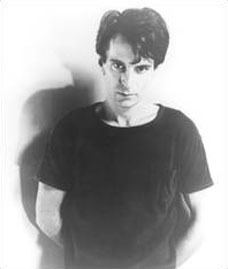 pero, y quien es alex chilton? el que esta desaparecido, y sin aguas de por medio, no era kevn shields (ver coctelera)? Tampoco mucho seguimiento...cortar y pegar los emails que me llegaban.